Anyone can write. 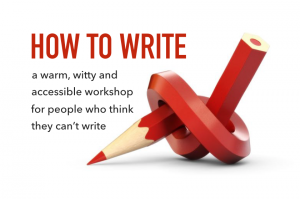 If you can think, you can write, so why do a workshop? Because in today’s complex society, we have to write in different flavours: emails, texts, papers, cv’s, job applications, reflective journals and so on. They all require different skills but have one thing in common: they’re important for your career. So spend a day learning ‘tricks of the trade’ from award-winning writer Rob Young. A warm, witty and accessible workshop where non-writers are welcome. Equipment required: a brain, a pen and a smile. This is a full day workshop in Manchester from 10am- 5pm with an award winning writer Rob Young!